The General Dynamics F-111 "Aardvark" was a medium-range interdictor and tactical strike aircraft that also filled the roles of strategic bomber, reconnaissance, and electronic warfare in its various versions. Developed in the 1960s by General Dynamics, it first entered service in 1967 with the United States Air Force. The Royal Australian Air Force (RAAF) also ordered the type and began operating F-111Cs in 1973. The F-111 pioneered several technologies for production aircraft, including variable-sweep wings, afterburning turbofan engines, and automated terrain-following radar for low-level, high-speed flight. Its design influenced later variable-sweep wing aircraft, and some of its advanced features have since become commonplace. The F-111 suffered a variety of problems during initial development and several of its intended roles, such as naval interception, with the F-111B, failed to materialize. USAF F-111 variants were retired in the 1990s, with the F-111Fs in 1996 and EF-111s in 1998. 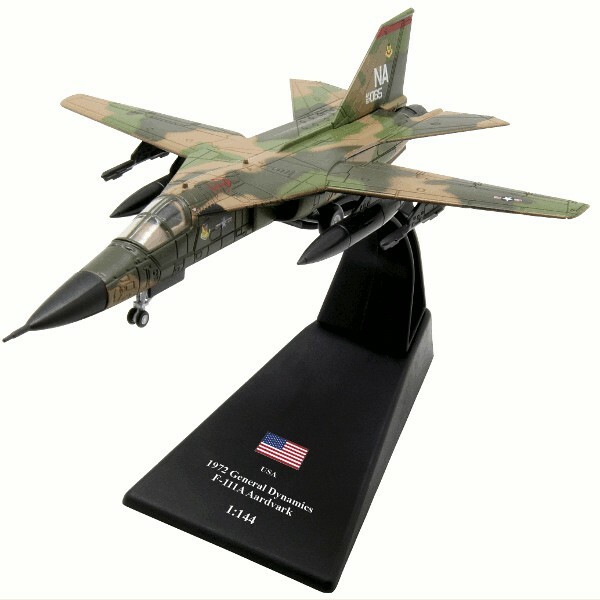 The F-111 has been replaced in USAF service by the F-15E Strike Eagle for medium-range precision strike missions, while the supersonic bomber role has been assumed by the B-1B Lancer. The RAAF was the last operator of the F-111, with its aircraft serving until December 2010.